please contact us by filling out the form at the bottom of this page. We were commissioned to make a cookie jar that has a plaque which needed to include: a design, the year, and enough room for the cross country team to sign. This was a gift for their coach. A customer wanted us to adapt our large serving platter with an attached type bowl (for dips or oils), but with more of a cylinder-like walls rather than curvy walls, So, this is what we came up with. visit his home. Each design and name are hand carved into the clay. A Grandpa commissioned us to create this small illuminated globe for his first grandchild. 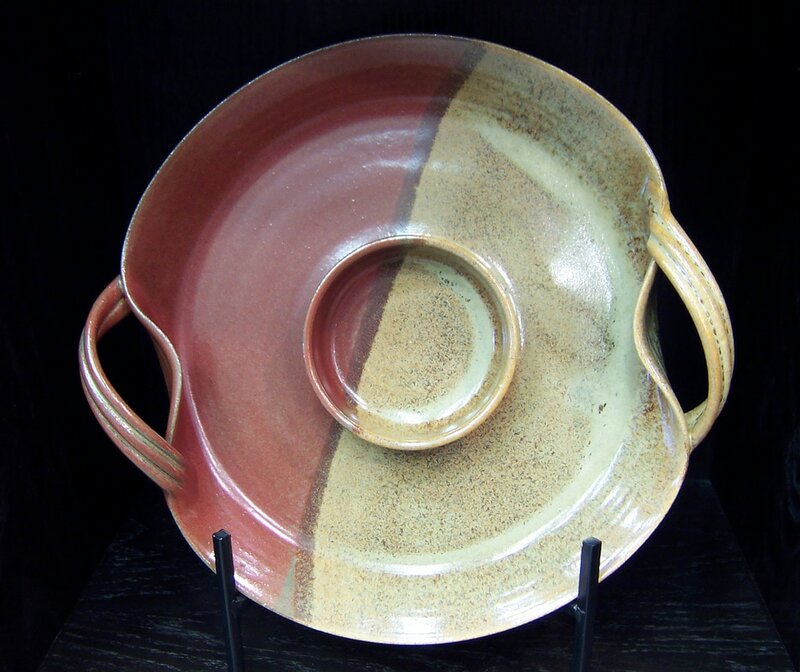 The design is hand carved and the glaze color is not one of our standard choices. Please allow 8 weeks, or more, for us to create such a wonderful and lasting gift. 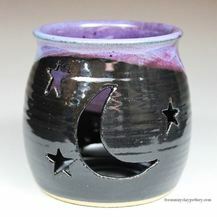 handmade pottery extra small canister with a plaque on it for his first grand daughter Lydia. Griffin, shown in the example pictures area, is a Great Dane puppy that came in with his owner. We pressed Griffin's paws into the clay to make his food and water dish extra personalized. Maggie was a house tabby cat who tried to get the leaves when they blew up to the window. Her name and her life span were stamped into the clay. The tile was glued to a paver stone with some heavy duty contractors glue. vessels shown above or something similar? Need something custom made that isn't shown above, please type in "Custom Piece". Custom orders take time to create. Our turnaround time is no less than 6-8 weeks depending on the season and our order queue.